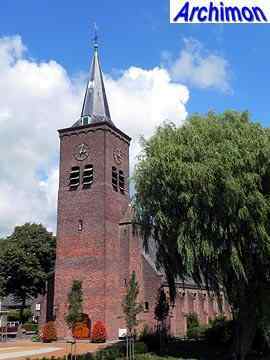 In the morning of May the 12th 1940, German bombers attacked Bleskensgraaf. 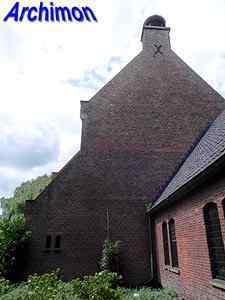 Among the destroyed buildings was the reformed church, a much altered medieval building. 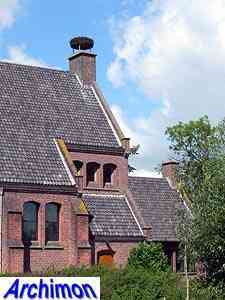 Soon a temporary church was built and used until the current church was completed in 1948. 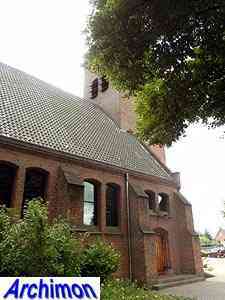 This new church was built on the other side of the street were the old church had been. 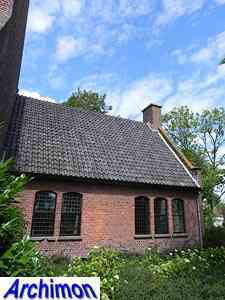 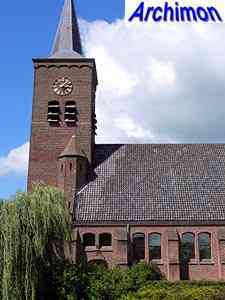 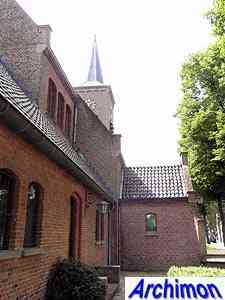 This new church was designed by G. van Hoogevest. 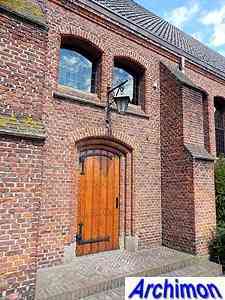 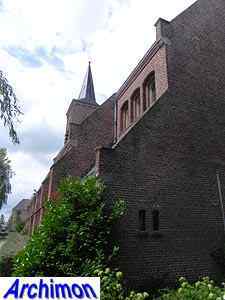 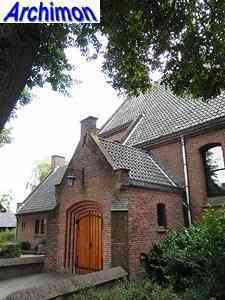 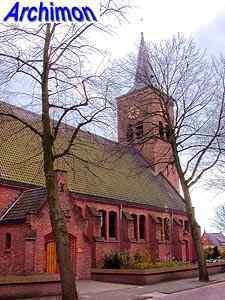 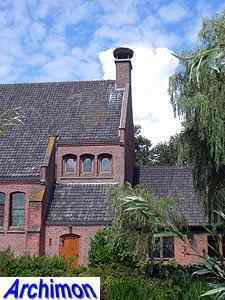 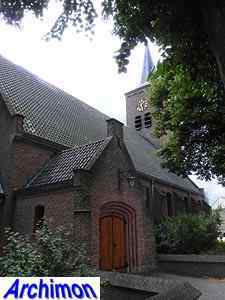 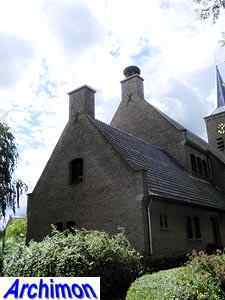 While this architect also designed the almost neo-Gothic church of nearby Stolwijk built in the same period, the church of Bleskensgraaf is in a more contemporary Traditionalist style closely related to the Delft School. 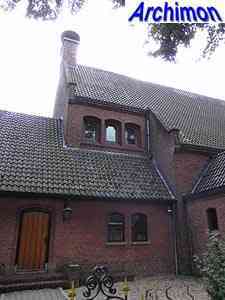 Remarkable for a protestant church is that it is oriented. 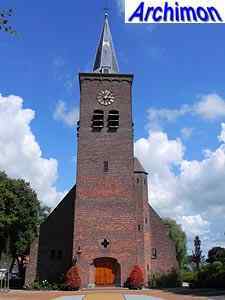 On the west side it has a frontal tower, while it has a straight and narrower choir-like east end in which the pulpit is positioned. 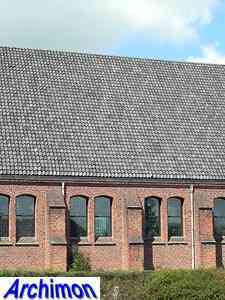 The aisleless nave is covered by a wooden roof, supported by large brick arches.